In February 2008, Governor Schwarzenegger introduced a seven-part comprehensive plan for improving the Sacramento-San Joaquin Delta. As part of this effort, the Governor directed state agencies to develop a plan to reduce statewide per capita urban water use by 20 percent by the year 2020. This marked the initiation of the 20x2020 Water Conservation Plan (20x2020 Plan) process. 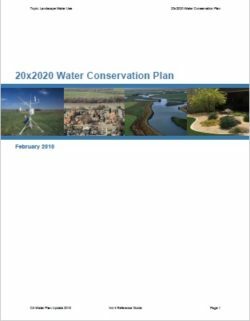 The 20x2020 Plan sets forth a statewide road map to maximize the state’s urban water efficiency and conservation opportunities between 2009 and 2020, and beyond. It aims to set in motion a range of activities designed to achieve the 20 percent per capita reduction in urban water demand by 2020. These activities include improving an understanding of the variation in water use across California, promoting legislative initiatives that incentivize water agencies to promote water conservation, and creating evaluation and enforcement mechanisms to assure regional and statewide goals are met. The 20x2020 Plan discusses these many activities in detail. 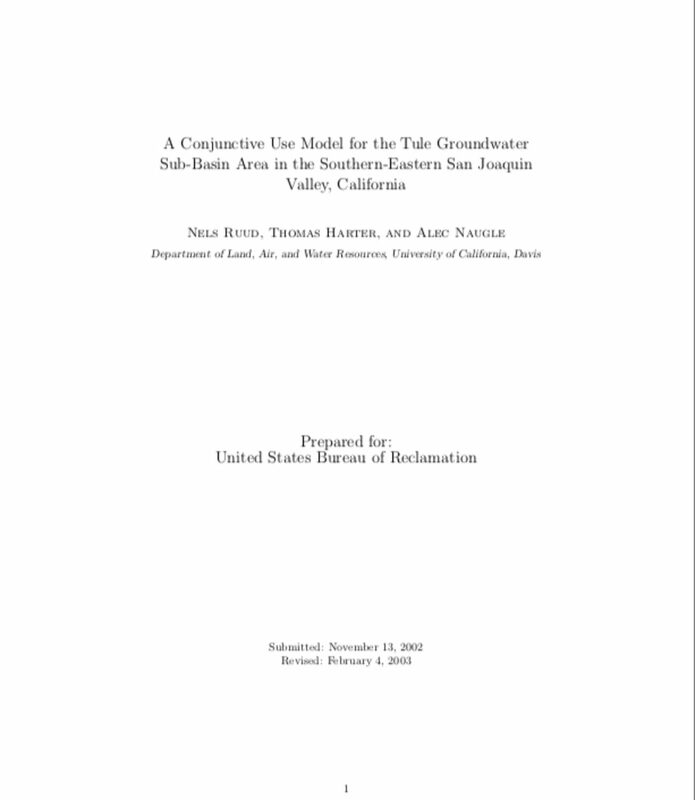 This annual report of conditions in the Santa Maria Valley Management Area, for calendar year 2016, has been prepared to meet the reporting conditions of the June 30, 2005, Stipulation entered by the Superior Court of the State of California, County of Santa Clara, in the Santa Maria Valley Groundwater Basin litigation. 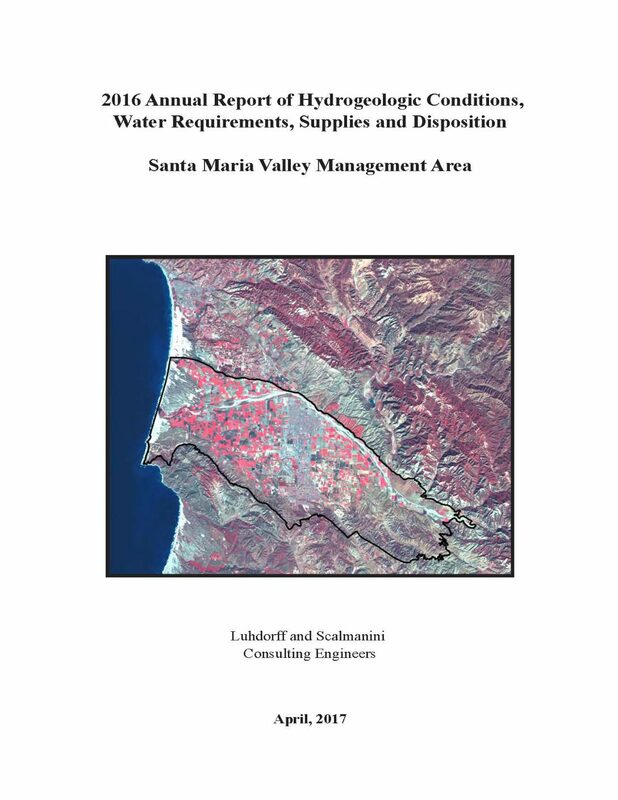 The Stipulation divided the overall Santa Maria Valley Groundwater Basin into three management areas, the largest of which overlies the main Santa Maria Valley (the Santa Maria Valley Management Area, or SMVMA) and is the subject of this report. The other two management areas, the Nipomo Mesa Management Area (NMMA) and the Northern Cities Management Area, are addressed in separate annual reports prepared by others. The Stipulation, approved and implemented in 2008, specifies that monitoring shall be sufficient to determine groundwater conditions, land and water uses, sources of water supply, and the disposition of all water supplies in the Basin. Annual Reports for the SMVMA are to summarize the results of the monitoring and include an analysis of the relationship between projected water demand and supply. The Stipulation was preserved in the California Court of Appeal (Sixth Appellate District) Decision of November 21, 2012, and in the Superior Court of the State of California (County of Santa Clara) Final Judgment of April 23, 2014. Thus, the Physical Solution criteria for monitoring and managing groundwater in the basin remain. In accordance with the Stipulation, this report on the SMVMA provides a description of the physical setting and briefly describes previous studies conducted in the groundwater basin, including the long-term monitoring program developed for the SMVMA. As reported herein, the Twitchell Management Authority (TMA) commissioned the preparation of a monitoring program for the SMVMA in 2008, and its complete implementation is expected to provide the data with which to fully assess future conditions. This report describes hydrogeologic conditions in the management area historically and through 2016, including groundwater conditions, Twitchell Reservoir operations, and hydrologic and climatic conditions. As with all previous annual reports (commencing in 2008), the water requirements and supplies for agricultural and municipal uses are accounted, as are the components of water disposition in the SMVMA. Conclusions drawn regarding water resource conditions are discussed, including any finding of severe water shortage, which is concluded to not be the case through 2016. Finally, recommendations are provided with regard to the intra-basin transfer of water from the SMVMA to the NMMA, possible enhancement of groundwater recharge, expanded assessment of water resource conditions, and continued implementation of the monitoring program for the SMVMA. Janny Choi from Stanford University's Water in the West discusses the Santa Maria stipulation in the 2014 paper Before the Well Runs Dry: Improving the Linkage Between Groundwater and Land Use Planning. Appropriate and necessary treatment and reuse of wastewater to augment existing water resources is a rapidly expanding approach for both non-potable and potable applications. EPA recognizes that potable reuse of water can play a critical role in helping states, tribes, and c ommunities meet their future drinking water needs with a diversified portfolio of water sources. Beginning with the first pioneers in water reuse, Los Angeles County Sanitation Distric t (1962), Orange County Sanitation District (1976), and the Upper Occoquan Service Authority (1978), the practice has gained substantial momentum because of drought and the need to assure groundwater resource sustainability and a secure water supply. Long-term water scarcity is expected to increase over time in many parts of the country as a result of drought, growing water demand, and other stressors. Across the U.S., there has been a notable increase in the deployment of technologies to augment existing water supplies through reuse of wastewater that has been treated and cleaned to be safe for the intended use. Indirect reuse usually involves passage of water through an environmental buffer (e.g., groundwater aquifer, lake, river) before the water is again treated for reuse. Direct reuse refers to those situations where treatment is followed by storage and use, but without the environmental buffer. Many drinking water systems rely on water treatment technologies to support indirect reuse of water (e.g., indirect potable reuse) and some drinking water systems now directly reuse wastewater after treatment (e.g., direc t potable reuse). In 2012, EPA published the 2012 Guidelines for Water Reuse to serve as a reference on water reuse practices . The document provided information related to indirect potable reuse (IPR), but only briefly described direc t potable reuse (DPR). 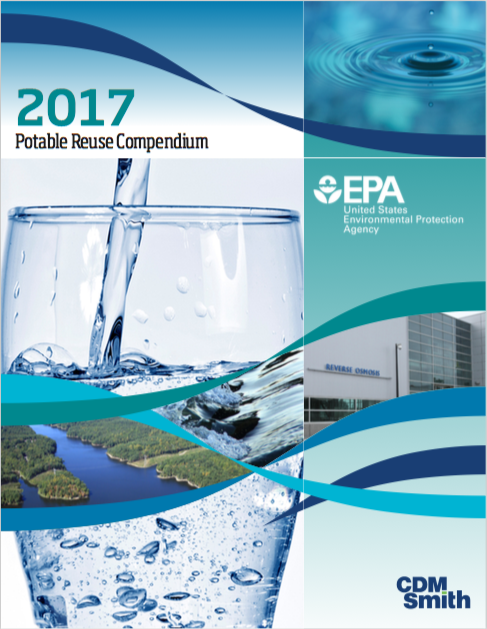 Because of increased interest in pursuing potable water reuse, EPA is is suing the 2017 Potable Reuse Compendium to outline key science, technical, and policy considerations regarding this practice. This 2017 Compendium supplements the 2012 Guidelines for Water Reuse to inform current practices and approaches in potable reuse, including those related to direct potable water reuse. EPA recognizes the recent water reuse publications from our stakeholders at the World Health Organization (WHO), the National Research Council of the National Academies of Science, the Water Environment and Reuse Foundation (WE&RF), and the Water Environment Federation (WEF). The 2017 Compendium is a compilation of technical information on potable reuse practices to provide planners and decision-makers with a summary of the current state of the practice. Specific knowledge and experience are drawn from case studies on existing reuse approaches. EPA supports water reuse as part of an integrated water resources management approach developed at the state and local level to meet the water needs of multiple sectors including agriculture, industry, drinking water, and ecosystem protection. An integrated approach commonly involves a combination of water management strategies (e.g., water supply development, water storage, water use efficiency, and water reuse) and engages multiple stakeholders and needs, including the needs of the environment. Although EPA encourages an integrated approach to water resources management, it does not require or restrict practices such as water reuse. EPA acknowledges the primacy of states in the allocation and development of water resources. EPA, State, and local governments implement programs under the Clean Water Act and the Safe Drinking Water Act to protect the quality of source waters to ensure that source water is treated so that water provided to the tap is safe for people to drink (e.g., contaminant specific drinking water standards). The SDWA and the CWA provide a foundation from which states can further develop and support potable water reuse as they deem appropriate. EPA will continue to engage a broad spectrum of partners and stakeholders for input on where the Agency can provide meaningful support to states, tribes, and communities as they implement potable water reuse projects. EPA will also work with stakeholders, the scientific community , and the States to monitor and evaluate performance of water treatment technologies to ensure that potable reuse projects are implemented in a manner that protects the health of communities . 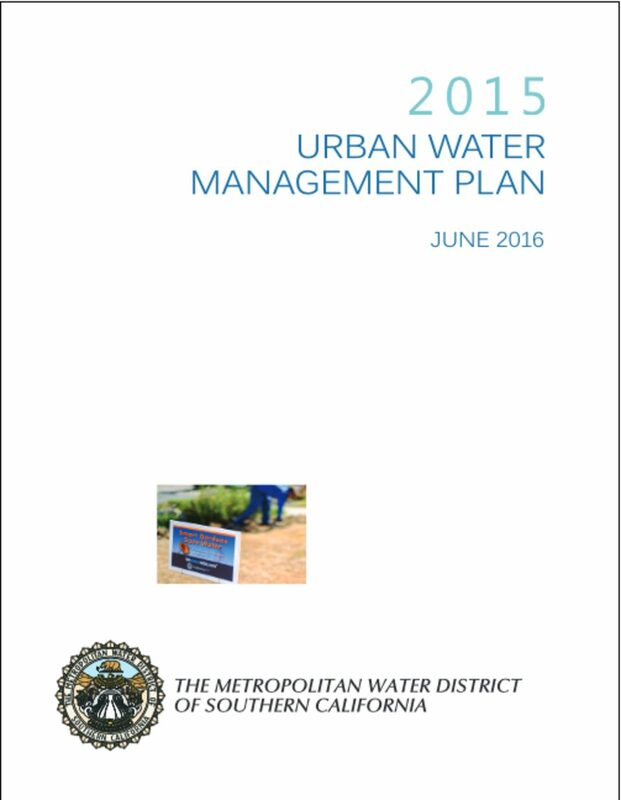 This document is a collaborative effort between EPA, CDM Smith, and other key stakeholders. EPA acknowledges the importance of potable water reuse and looks forward to working with our stakeholders as the practice continues to be developed and deployed as an important approach to ensure a c lean, safe, and sustainable water supply for the nation. 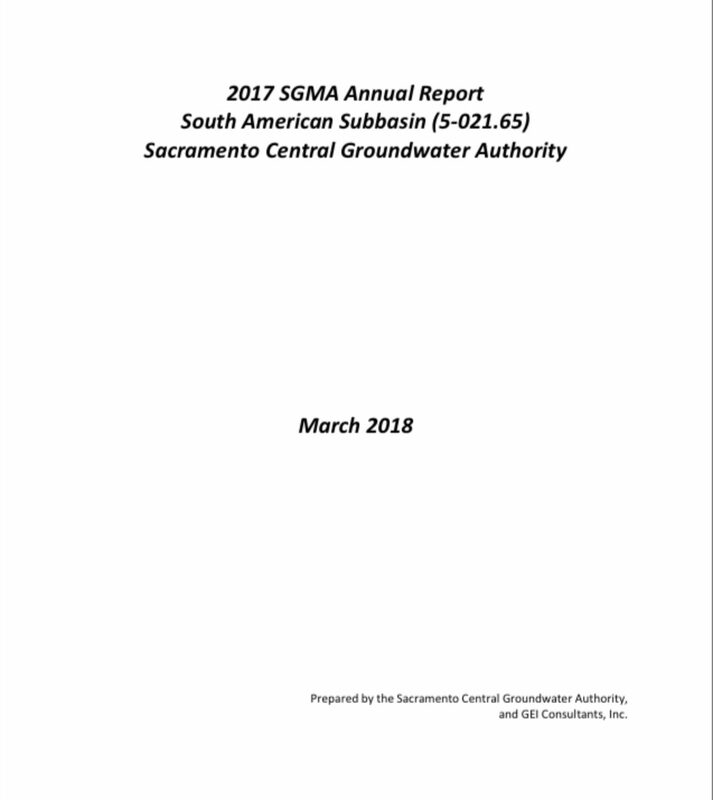 The Sacramento Central Groundwater Authority (SCGA) has prepared an Annual Report describing groundwater conditions in the South American Subbasin for the 2017 Water Year (i.e., inclusive of months October 2016 to September 2017) in support of their pending Alternative Submittal. 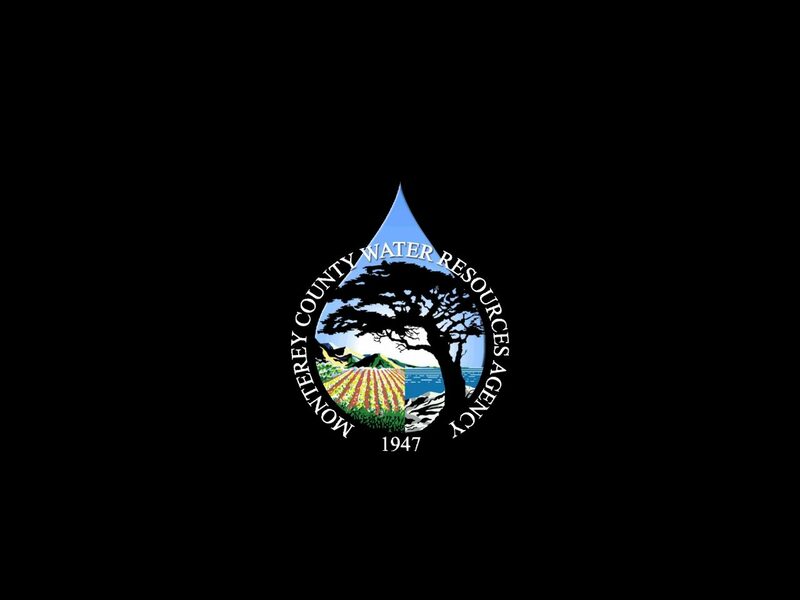 The Annual Report is intended for conveying monitoring and water use data to the State DWR on an annual basis to gauge performance of the groundwater subbasin relative to the sustainability goal set forth in a Groundwater Sustainability Plan (GSP) or, for SCGA, the Alternative Submittal. As such, SCGA is including sufficient information to provide interested parties with sufficient background and supporting details to serve as a public communications document for subbasin management and to take the place of historic biennial reporting available on the SCGA website. 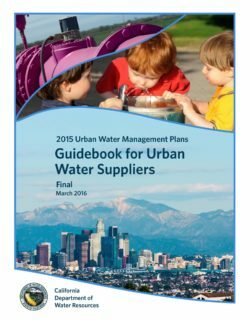 This document highlights the key perspectives and recommendations that emerged during the Integrated Water Management Summit held in Sacramento on April 3, 2013. The California Department of Water Resources (DWR) hosted the event in partnership with the Water Education Foundation and the California Water Commission, and would like to thank the 200+ attendees and guest speakers who participated in the Summit. The goal of the Summit was to bring together water leaders from myriad agencies and organizations to share experiences and ideas on how we can effectively align to provide sustainable water resources services in the State, in the face of an uncertain future. Most agree that the water management approaches we have been relying on for several decades are no longer sustainable given today’s economic climate, our changing environment and the need to supply safe drinking water, agricultural water and flood protection for a growing population, while also protecting and enhancing valuable environmental resources. The thoughtful presentations and informative discussions at the Summit served as an important milestone in the movement to shape a more cooperative and effective approach to water management in California. 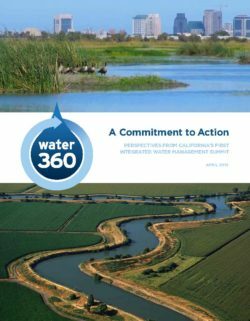 The Summit launched a new campaign called “Water 360” to help refocus and strengthen the collective efforts of California’s water management community by advancing integrated water management. Integrated water management is a framework for planning and implementation that melds the objectives of improving public safety, fostering environmental stewardship and supporting economic stability to lead to sustainable water resource management. 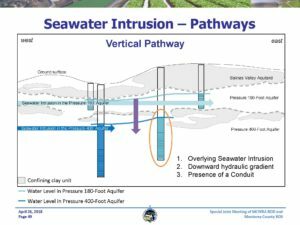 Integrated water management is not a new concept in California, and great strides have been made in the last decade to utilize the approach, particularly at the regional level. The Water 360 Campaign builds on these early successes and calls for broader application across the entire state. DWR is prepared and committed to lead this effort in close partnership with other water leaders, particularly State, federal, and local agencies; and in collaboration with all stakeholders. 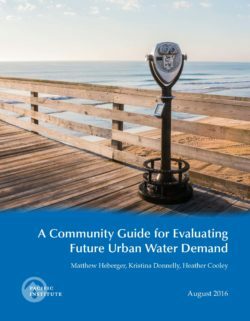 A Community Guide for Evaluating Future Urban Water Demand provides communities, environmental groups, ratepayer advocates, and anyone interested in sustainable water supply planning with the knowledge and tools they need to understand water demand forecasts. Communities across the U.S. are faced with decisions about how to meet the needs of a growing population. To help make these decisions, water utilities often rely on forecasts that project water use 20 or 30 years into the future, consistent with the amount of time it takes to develop new supply infrastructure, such as desalination plants or reservoirs. For much of the 20th century, water use in American cities grew in proportion to population and the economy. Since the 1980s, however, water use in communities across the United States has remained steady or declined despite continued population and economic growth, due to improved water conservation and efficiency and structural changes in the American economy. While the water sector has undergone a fundamental transformation, the practice of water demand forecasting has been slow to keep pace. Water suppliers routinely overestimate future water demand based on often overstated estimates of population and economic growth and underestimates of the effects of water conservation and efficiency improvements. These inflated estimates of future water needs can result in unneeded water supply and treatment infrastructure, higher costs to ratepayers, and unnecessary environmental impacts. The guidebook explains how water utilities forecast long-term water demand and reviews some of the approaches and methods commonly used by utilities and consultants. It also provides a set of best practices that can be used to create more accurate and robust long-range water demand forecasts. Some of these best practices include accounting for water conservation and efficiency improvements and land use changes, as well as ensuring transparency and meaningful stakeholder engagement.